Shaken and Stirred Taboo or Not Taboo? 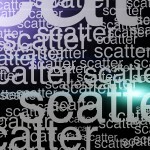 When I think of the word “scatter” I think of…um…let’s see…uh…I forget. Let’s see what others have to say while I try and remember what it means to me. after scattering the ashes I realized the truth. It was a little late however, since I never got to tell you it: I love you. so much for not having regrets. The ashes at her feet began to scatter to the four corners of the Earth with the whispering wind. She choked back a sob and tears welled in her eyes. It was time to say her final goodbye. Their feathers scatter in the wind. The drops of blood remain. Those fallen from grace have never felt more alone, but at the same time never more free. Free from a perfect but cold world. Free to make their own choices and to live by their own code. No, that was Emily…oh…the word “scatter” makes me think of…thoughts! I want my negative thoughts to scatter. Just jumble up and gather themselves up and disappear. Why can’t that happen? Why can’t I just be content with things? Thoughts drifting, distant. Memories, emotions strewn around like scattered shells at the seashore. Who am I? Why am I here? Questions calling like gulls overhead, but only the echo of the ocean answers, whispering songs in a language only the seaborn can understand. I listen, searching for meaning, searching for answers, but none come. As you roam through the street, in the twinkle of the snow as they drift and flutter, dotting through the street lamp as it floods in circular spots above, they scatter before you. as you approach each new sheet of wonder that floats and drizzles and flutters there before you, they part to let you wander through. and the few flakes that don’t see you coming? well they stick and cling to you, struck by the suddenness of your coming, by the suddenness of your approach. I saw the old man each day. By the lake.. laying all the bread crumbs down for the ducks. Scattered.. So they could pick them up piece by piece and live. Thats how it is for us. Making sense out of nothing but scattered pieces. Sometimes, by collecting and treasuring them. Sometimes by collecting and throwing them far far away; never to be near them. Sometimes, just standing to let them be so. Scattered. The pen is my knife; I bleed onto paper. Carving my thoughts before they vanish like vapor. Birds come to feed on the blood at my feet. Nope, that was Carly. Well, I guess I’ve completely forgotten what the word “scatter” brings out of me. Sorry folks, maybe next time. These are selected excerpts of entries from oneword.com, and are just a few of many great entries—too many to list here. The quoted writing above remains the property of the original author, reprinted here under oneword’s terms of service. If you are an author whose work was printed in this piece and would like it removed or for us to link directly to your website or blog, please contact us. I lie in my own puddles of blood. My mind getting hazy, actually seeing the little birds and stars as you see in cartoons. I knew all the people that walked the streets, lived next door, heard cries for help from across my street…they all, one by one, decided to scatter to their own quiet place. They no longer heard my cries, my desperate cry for help as he beat me to near death.